Many individuals who are versed in one area are consistently rediscovering that they possess hidden talents as they look for newer means to de-stress and relax. These people are so amazingly gifted in diverse sectors that their skills are hard to ignore. 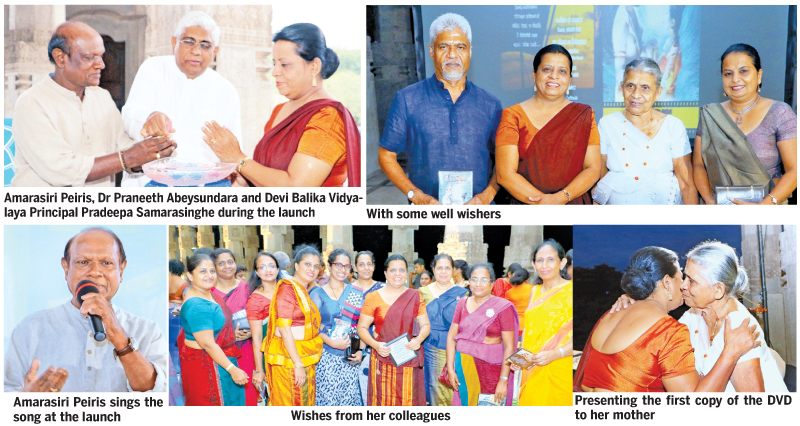 Devi Balika Vidyalaya Principal Pradeepa Samarasinghe is one such individual who came to light for her artistic talents besides her academic achievements. She has a collection of songs she has penned during her free and pensive moments as a means of relaxing when her mind is set afar from the school and academic related topics. One of her songs was selected by seasoned vocalist Amarasiri Peiris to include in his newest album. Titled ‘Ae Nimeshaya’ (At that Moment), the song tells the episode when the great queen Viharamahadevi as she meets King Kavan Tissa after battling with the Tsunami which nearly sunk the island. 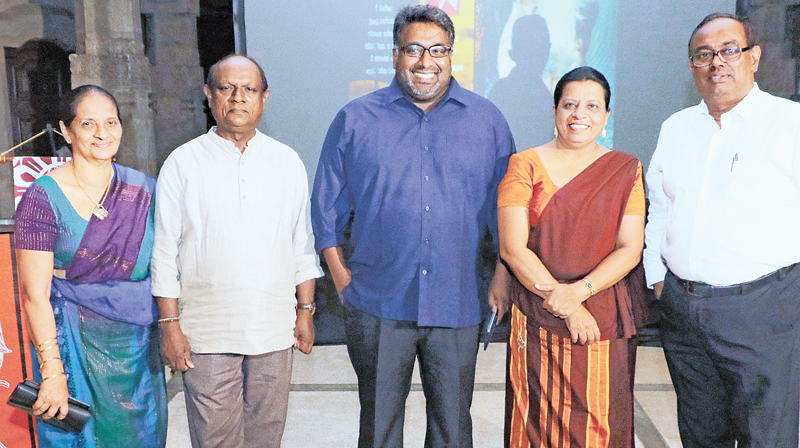 “The song is told in King Kavan Tissa’s point of view. Though history relates that he said that anything which comes ashore from the ocean belongs to the king, I imagined the episode as if both of them saw each other from the seashore and the boat. Their eyes met and a turmoil of feelings overcame them both. That was when King Kavan Tissa decided to make Viharamahadevi his wife,” Samarasinghe said. The song was launched at a special function which was held at the Independence Square at the end of last year. Many distinguished guests from the academic field as well as many popular faces in the country graced the event. Writing song lyrics, short stories and poems during her free time has been one of Samarasinghe’s habits from childhood. She had taken out some of her files during the school vacation and one particular song that she had penned a few years ago caught her eye. “I realized that it is appropriate for a song when I read it once again. The stereotyped image of Viharamahadevi is that of a heroic princess and the mother of the great king Dutugemunu. However I tried to look at her character from another angle. She too is a mortal woman. She put her life in danger to rescue her kingdom. Many years ago we thought that this tale was a mere fantasy but after the Tsunami struck Sri Lanka in 2004, we realized that such natural disasters can occur. This is not merely fiction but something that had taken place in reality,” she said. As she fine tuned the lyrics Samarasinghe’s thoughts were set on only one vocalist’s voice which is suitable for the song: Amarasiri Peiris. She met him hoping that he would accept to include the song in his collection. Her wishes were granted. Peiris was more than happy with the song and set it to melody. Priyantha Samarakoon did a video for the song which was directed by Anura Wijenayake. The song is a hit on Youtube as many have viewed it and had given positive feedback. “Many people think that those in the academic sector lead a serious and boring life. They do not believe that they are capable of possessing artistic thoughts and talents. I wanted to get rid of this stereotyped image. Engaging in such activities are also good stress revivers,” Samarasinghe pointed out adding that taking such measure will enhance one’s professional life as well.